Nearly 20 years after bringing her serial-killer father to justice, a photographer begins to settle into a new life only to discover that a murderous stalker is after her—and may have been collecting his own victims along the way. Just before her 12th birthday, Naomi Bowes followed her father into the woods and made the grim discovery that he was a serial killer, which sent him to jail for life. Naomi, her mother, and her brother, Mason, moved in with her uncle Seth and his partner, Harry, ultimately settling in New York City and changing their last name for anonymity. But her mother never quite recovered from her husband’s horrid influence, and the tragic aftermath of that relationship will have a long-lasting impact Naomi won’t recognize until she settles into a new home in Washington state and her past catches up with her in ominous ways. Thanks to new friends, a new lover, a rescue dog, and her FBI-agent brother, she might weather this dangerous situation, but discovering someone has been shadowing her formerly nomadic life gives her a new appreciation for her own strength, resilience, and many blessings. Naomi’s unique past makes her wary of strangers, so when she falls in love with a house and buys it, then is quickly enfolded into a group of new friends and, through them, meets the man of her dreams, she feels both embraced and nervous, but when her past threatens her and her new community, she knows she’s in the right place with the right people. 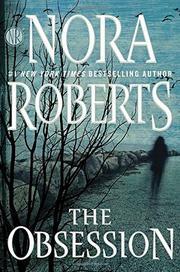 Bestseller Roberts explores the experience of a serial killer’s family and, more subtly, the true natures of trust, friendship, and loyalty. A little uneven and with an abundance of detail that occasionally slows the pace, this is still an appealing story from a romantic-suspense favorite.